I have seen how Bourbon drinkers are open-minded most open minded of spirit consumers, eager to experiment and to try new spirits and expressions. If this was not the case the thriving market for Scottish and Irish single malts and quality sipping rums would not be expanding as it is. 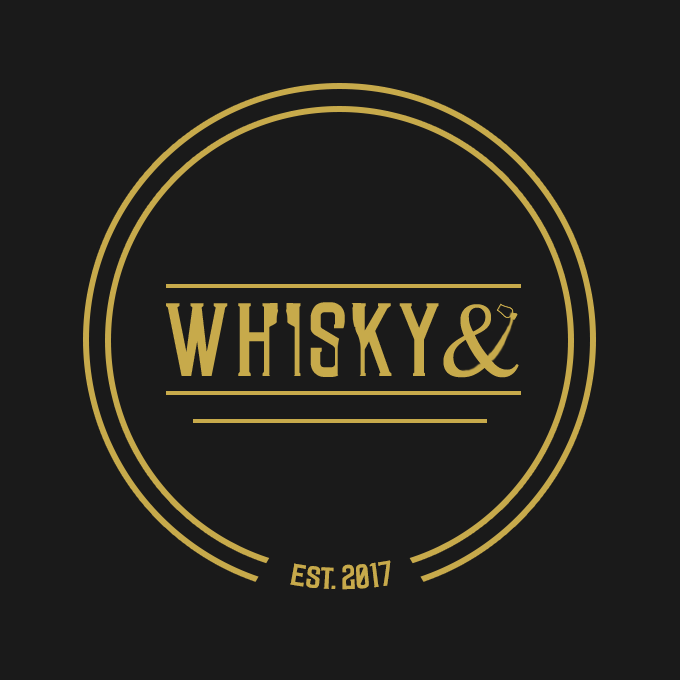 I feel is the exciting, tasty and high-quality Brandy market especially the benchmark Cognacs and interesting Armagnacs offers a great alternative to the American Whiskey drinker. 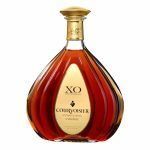 There is a Cognac who to my taste is both a premium quality spirit and the one that perhaps would be most of interest to Bourbon and Highland single malt drinkers. Martell the oldest of the big cognac Houses. 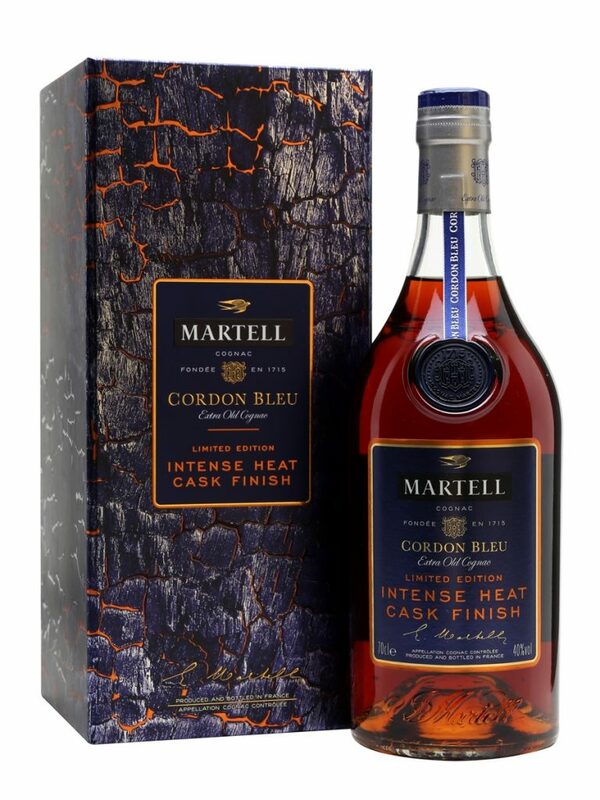 Cordon Bleu is the height of the Martell range ignoring the 4- 5 figure expressions like the d’Or and Metaphore. Uniquely among cognacs, this is an XO (Extra Old) Cognac of at least 10 years old probably older but this is finished in what we Bourbon fans would call an Alligator or number 4 char (chauffe crocodile). Martell calls this intense heat. This intense heat produces the toffee vanilla and spice finish we are familiar with. 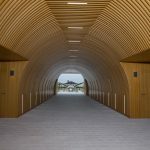 Their barrels are either Limosin or Troncaise European Oak barrels. Most are aged initially in new barrels but then are moved into older barrels to give more taste without the wood overwhelming aroma and flavour. The Cognac is presented in a dark blue box, embossed with a copper colour that represents burning wood. In addition, the pack also contains some thermochromic ‘links’ that cleverly react with body temperature, so when rubbed they glow red like embers – don’t expect too much. The grapes are from Bordiers Martell’s preferred Cru, blended with Grande and Petite Champagne Crus. This is the same blend as the fabulous Cordon Bleu, Martell’s flagship super premium expression since 1912, the year Titanic was sunk and Woodrow Wilson won the Presidency. this limited Edition was first created as a travel exclusive for 2017 Chinese New Year. It has been the target for collectors and Cordon Bleu fans ever since and its availability has been extended. To the eye, this delivers wonderful copper tones with a golden glow. On the nose: vanilla, coffee dates walnuts and blackcurrants. The palate delivers the nose which is always a good sign in my book; vanilla caramelised sugar, cloves, cinnamon, nutmeg – was that Worcester sauce. Everyone else says not but then they didn’t get cinnamon which was certainly there.